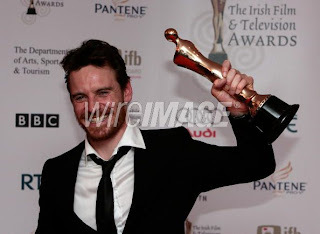 Congratulations Michael for winning your well deserved Best Actor award for 'Hunger' at the 6th Annual Irish Film & Television Awards, and he won the Irish Film Board Rising Star Award! 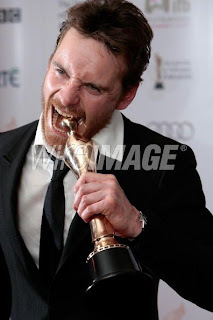 Update: Hunger was named Best Film, also picking up IFTAs for Actor in a Lead Role Film Michael Fassbender, Actor in a Supporting Role Film Liam Cunningham, Original Score David Holmes, Production Design Tom McCullagh and Sound Ronan Hill & Mervyn Moore. 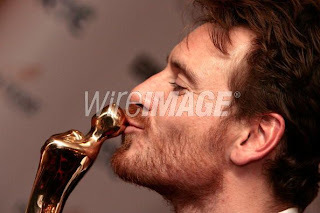 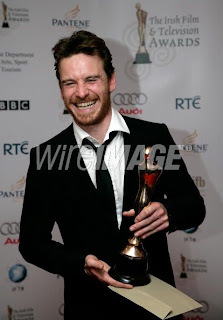 Hunger actor Michael Fassbender was also presented with the Irish Film Board Rising Star Award.